CRAZY DISCOUNT! Was: $219.95 Now: $159.98! Are you having trouble sleeping with your furry friend? Do they always get into bed with you? Well no more! 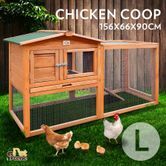 The Chicken Coop mini house is here for you. This housing is both waterproof and anti-termite and will last you for years. Easy to access with ramps and entrances, your pets will be able to go in and out with ease. There is a dedicated play area made with mesh wire. These features will allow your pets to exercise and rest. Slide out trays for easy cleaning. 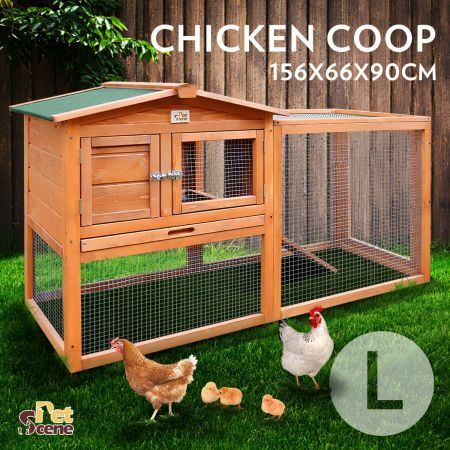 This chicken coop mini house will allow your pets their own space. No more going up the bed again or unwanted areas, your pets will stay still. Great communication and product came very quickly.